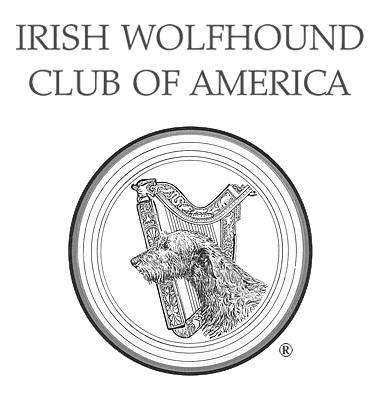 IWCA Irish Wolfhound Rescue - Irish Wolfhound Club of America, Inc. Rescue assists owners who no longer are able to care for their Irish Wolfhound. We are a group of volunteers located in areas throughout the US and Canada that provide a local rescue for your Irish Wolfhound. We also provide an adoption policy that assures your Irish Wolfhound will find a loving, permanent and safe home. The primary mission of the Irish Wolfhound Club of America Rescue Committee is to support the dedicated individuals and organizations, listed in our directory, who rescue Irish Wolfhounds in need of a permanent home. All rescue volunteers use rescue documentation, premise and reference check adoptive homes, and spay/neuter if the hound is age and health appropriate. Many have a list of pre-approved and often Irish Wolfhound-experienced homes waiting to adopt. Additionally, the IWCA has agreed to provide reciprocal cooperation, through our IWCA Rescue Chair, with the UK Irish Wolfhound Club in assessing homes for dogs contemplated being sent from overseas. If you are looking for a rescued Irish Wolfhound as a companion, our volunteers can be reached to discuss the possibility of a Wolfhound joining you. For assistance, please contact a state rescue volunteer (listed below) or the National Rescue Chair. If your Irish Wolfhound is lost, please contact the Lost Dog Committee. If you have any questions or corrections pertaining to this directory, please call or email the Rescue Committee Chair. The following individuals are listed in this directory as Irish Wolfhound rescue volunteers by the national directory coordinators. The Irish Wolfhound Club of America, Inc. does not guarantee, nor can be held liable for, their services.